1. Crisis Ministries: Crisis Ministries was created in 1984 to meet the immediate needs of those in our community who are homeless and hungry, to strive to break the cycles of hunger and homelessness, and to encourage others to do the same. To achieve this mission, Crisis Ministries provides a holistic array of services and depends on a rotating corps of more than 5,000 volunteers each year to operate its programs. These seven core programs are collectively designed to meet the complex needs of their guests, with the ultimate goal of restoring these individuals to healthy, independent, and productive lives. 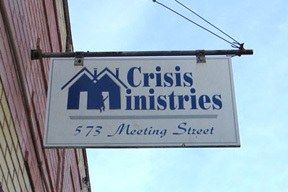 Crisis Ministries services include a 24-hour family center and men's shelter, a soup kitchen and food rescue program, a health clinic, chaplaincy program, and social service programs designed to move clients up and out of the Center. 2. The Association for the Blind: The mission of the Association for the Blind is to promote self-reliance and independence for individuals who are blind and severely visually impaired through education, training, employment, advocacy, and vision rehabilitation. The Association for the Blind offers comprehensive vision rehabilitation, recreational and social events, and referral services. Activities include: Beep ball and Braille instruction. 3. ASCEND Foundation: ASCEND (Anne Scandalios Cancer Ends Now Directive) is incorporated in the state of South Carolina as a non-stock, non-profit corporation that is organized and operated exclusively for charitable and educational purposes. The ASCEND Foundation has numerous outreach programs including providing “Chemo Ducks” (stuffed toys) for children with cancer while they are in the hospital to help educate and ease the fears of the pediatric cancer patients. 4. Trident Area Agency on Aging: The mission of Trident Area Agency on Aging is to enhance the quality of life for all older individuals in the Tri-County area. Trident Area Agency on Agency provides directory on through contract information and referrals, congregate meals, home- delivered meals, home care, adult day care, family care give or support, long term care for OMBUDSMAN services, legal assistance, and the I-Care program of assistance with Medicare, Medicaid, and supplemental insurance. 5. The C.A.R.E.S. Clinic: The CARES Clinic is a medical student initiated and managed nonprofit organization dedicated to providing free medical care to the underserved population in the local Charleston area. The clinic’s mission is to provide Community Aid, Relief, Education, & Support. 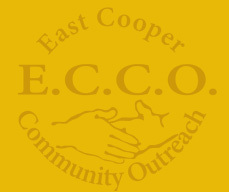 The CARES Clinic provides free, non-emergent, primary care every Tuesday and Thursday night from 6:30-9:00 PM at East Cooper Community Outreach in Mount Plesaant. 6. First Baptist Church of North Charleston Medical Clinic: The Medical Clinic provides basic primary care to adult and pediatric clients. Referrals are made to other health care facilities in the Tri-county area as appropriate. All care is provided free of charge to the client, and medications, when available, are dispensed for the problem for which the client is seeking medical care.